My first foray into a pilsner is nearing the end of its keg, so I wanted to make sure to get a tasting in before it was gone. I served it at a recent party, which depleted a good chunk of the supply, and gave away a few growlers, also. It’s not that I don’t like the beer–I do!–but I didn’t want to tie up too much equipment with something that required unique handling for serving temperature (cold, cold, cold) and carbonation pressure (high, high, high). Original gravity = 1.051; final gravity = 1.008; abv = 5.5%; estimated IBU = 30. This beer showcases a crisp and slightly spicy hoppiness, with a hint of corn sweetness behind that. Clarity is a touch off of the brilliant I was aiming for; there is a very faint chill haze, which is unfortunate (more on this later). The beer has an exceptionally tall and thick white head when poured, almost meringue-like in its texture and fineness. Retention is excellent; it sticks around as a full blanket over the beer until the very end. Despite the very minor chill haze, the effervescence of the beer gives a very nice visual too. The beer itself is a pale straw color. The flavor profile is quite clean, with crisp hops at the front and a clean but simple malt bill behind that. I definitely taste the corn backing up the rest of the beer, and perhaps a hint of the rye spiciness (although I don’t think I would pick it up if I didn’t know it was supposed to be there). It’s a reasonably bitter beer, but not overly so. This is a light-bodied beer, with high carbonation (as appropriate for the style). The finish is dry, and very clean. A lingering but not overpowering hop bitterness rounds out each tasting. 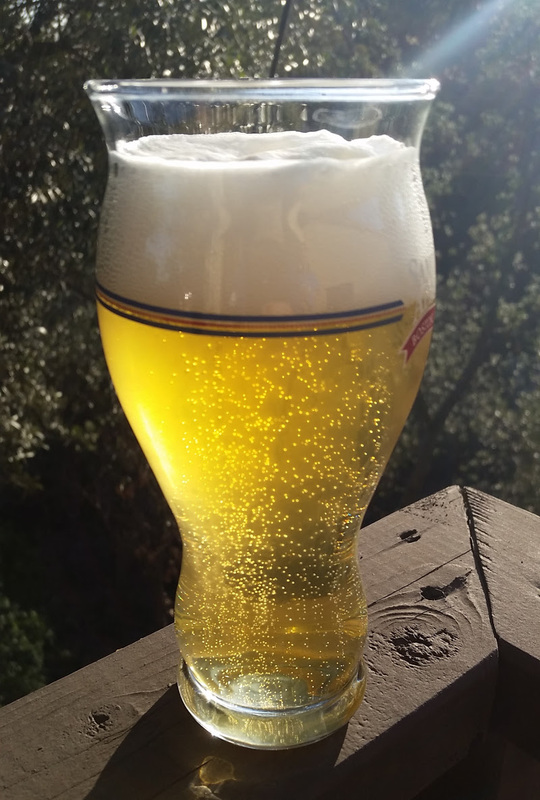 I feel like this is a very solid, but not perfect, first try at a pilsner. There’s a lot that hit the mark with this brew. The flavor and aroma are incredibly clean, without any DMS or diacetyl or fruitiness. It’s a tasty, easy-drinking beer, perfect for warmer weather. The color is a bit too light for the Classic American Pilsner style, and the slight haze is also an issue in terms of the strict style. That said, these don’t matter much for me in terms of taste enjoyment, although they are things I want to work out for the next batch of whatever pilsner I do. I think the haze in this case was compounded by two things. First, I added the gelatin to the keg, rather than the fermenter. I think next time I’ll add to the fermenter and let it work its magic in there for a few days before kegging. Second, I let the keg warm up a bit one night after serving, coupled with a bit of movement/sloshing, that probably didn’t help things either. So, I’ll aim to be a bit more careful with my handling next time, and see if that fixes things. For my next pilsner, I’ll probably go with something a little more “traditional”, just to see how that goes.